Mr. Risto Wahlroos has successfully executed several top management and middle management executive search assignments for industrial enterprises as well as for trading companies and financial services companies in Finland, other Nordic countries, Russia and Central Europe. He has also actively participated in board searches and management audit evaluation processes. Mr. Wahlroos has, along with his corporate banking background, over 20 years of experience in domestic and international business and management. He has served three international financial services groups in various management level positions in sales, marketing, finance administration, risk management and business management. He has successfully planned and executed business growth strategies and led multinational client and product teams creating growth in an organization. In addition to operational management, Mr. Wahlroos has been a member of international management teams - both in local line organizations as well as in international matrix form organizations. His distinct areas of responsibility have been finance, investment services, risk management, transaction services, sales, customer relationship management, corporate analysis and coordinating operations of sales and product units in the finance industry. 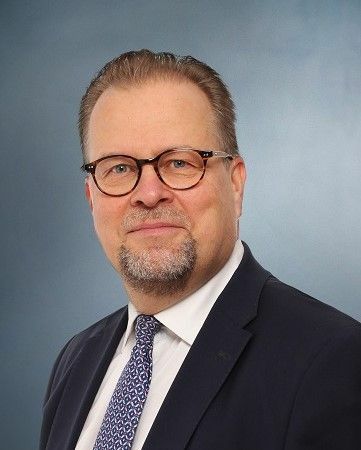 During his long career, Mr. Wahlroos has built an extensive network of executives including professionals in the financial services industry and senior executives in the Finnish large and medium sized enterprises. Mr. Wahlroos' clients include both Finnish and international companies mainly within the machinery and engineering, chemical, constructing and building materials, paper and pulp, food, wholesale and service industries. Mr. Wahlroos holds a Master of Science degree in Lappeenranta University of Technology in industrial engineering and management. In addition, he has completed several business management and consulting related courses both in Finland and abroad, e.g., at INDSEAD in Singapore.